Is your faucet leaking? Don't worry about checking anymore. 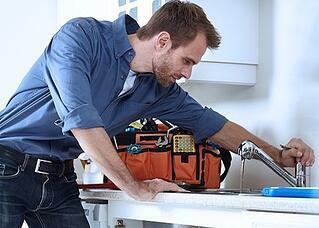 Customize your home to automatically alert you when water is detected. Don't lose sleep or money, know exactly when there is a leak. Don’t worry about coming home to a broken A/C unit to find that the pan is full of water. . Your smart home can alert you when water is detected before the problem becomes a more expensive issue. Don't lose sleep or money, know exactly when there is a leak. Running toilets can cause your water bill rack up substantially. Don’t worry about wasting water, have your smart home automatically alert you when water is detected. Is your storage safe in the basement? Don't worry about water ruining your furniture or clothes. Customize your home to automatically send you a notification if your basement starts to flood. Don't worry about making your things waterproof.